A new 4GB variant of Nokia 6 will go on sale for the first time in India exclusively on Flipkart from February 20. Nokia 6 was first launched in January last year. Flipkart is providing 5 per cent discount on Nokia 6 on payment through Axis Bank credit card. The smartphone is available on the website at a price tag of Rs 16,999. Talking about its specifications, Nokia 6 comes with a 5.5-inch Full HD IPS display with a resolution of 1080x1920 pixels. The handset is powered by Qualcomm Snapdragon 430 SoC and comes along with 64GB internal storage which is further expandable to 256 GB via microSD card. It has a powerhouse of 3,000 mAh battery and runs on Android Nougat 7.1.1. The 4G smartphone supports WiFi 802.11 a/b/g/n, Bluetooth 4.1, GPS, Micro USB with OTG and a 3.5 mm headphone jack. On the camera front, Nokia 6 sports a 16-megapixel camera at the back with dual-tone LED Flash and f/2.0 aperture. For selfies, it has a 8-megapixel sensor with autofocus and Full HD video recording. Nokia 6 will be available in only one colour Matte Black. 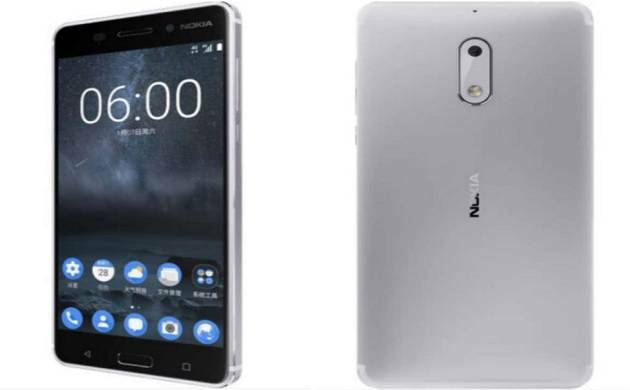 Previous version of Nokia 6 which is of 3GB RAM is also available in the market at a price range of 14,999. The only difference between the previous and current version is of RAM capacity and the rest of the specifications is same.